If there’s one thing that is abundantly clear in the world of technology today, it’s that anyone and everyone has access to a plethora of information. Your target audience has the ability, and clearly uses it, to learn about the product or service that they are interested in. Even with this 24/7/365 access to information, many times they are being told what a business has to offer…not how their immediate problem can be solved. That’s where you come in. Through an effective lead nurturing program, you can educate, teach and challenge your leads to consider the benefits of your product or service, providing unique insights into how they can do their job better and more efficiently. Once they hear you sharing with them instead of selling to them, you’ll move them closer to being paying customers. Make it an audience of one. Isn’t it wonderful when the server at your favorite restaurant makes you feel like you’re the only one in the room? Even when you can see quite clearly that you’re not? When you practice lead nurturing effectively, your prospective leads can feel the same way. Personalized content communicated succinctly to your desired persona strengthens relationships and increases response rates. Demand Gen Report’s 2016 Lead Nurturing Benchmark Study cited 66% of marketers surveyed stated that higher response rates, due to communications that are targeted and relevant, was a top benefit of lead nurturing. When your leads feel special, they trust you and share information, giving you the opportunity to create more sales-ready leads for your sales team. It’s not just for email anymore. “But I don’t have time to make a YouTube video! !” I can hear you already – and in some cases, it’s true. When your lead nurturing efforts work across numerous channels, it does take more time and focus to effectively manage your campaigns. But the success that results from using a multi-channel approach will improve your business’ bottom line, and showcase the value of marketing. Don’t completely ditch the email campaign…these can be very effective. But explore other options that fit with your business model. Social media, video, paid retargeting, dynamic website content and sales development efforts incorporated with your email approach, can yield better results. Did you notice I said “sales development efforts” in the above paragraph? It’s true. Working with your sales team and creating alignment can do wonders for your lead nurturing program. By definition, lead nurturing helps to eliminate the chasm that exists between your sales and marketing teams. Lead nurturing can leverage the success of your inbound and outbound marketing campaigns with the abilities of the sales team to continue to move prospects toward paying customers. The best way to align these two very important teams is through sales development. The sales development function, as defined by Trish Bertuzzi of The Bridge Group, combines data analysis tools, email nurturing and phone prospecting teams together in a specialized role that is only about creating sales qualified leads (SQLs) and preparing them for new sales people. Sales development is the missing piece that reinforces alignment between marketing and sales. This approach ensures that inbound leads are properly managed and the marketing qualified leads (MQLs) are given the personalized attention they need to maximize conversion opportunities. In order to ensure an effective lead nurturing campaign, test your content, calls-to-action, timing, etc. to develop key performance indicators (KPIs.) Once your KPIs are established, track and test their effectiveness, making tweaks as needed for best results. Flexibility is key. The basic premise of lead nurturing demands a dynamic response, and being flexible with campaign integration and lead communication will work to more effectively nurture and build trusting relationships with your leads. In addition, measurement of lead nurturing campaigns will allow you to demonstrate the value of your marketing efforts, display positive (and negative) effects of lead nurturing campaigns, showcase your changes for improvement, and provide insight into their direct effect on sales. 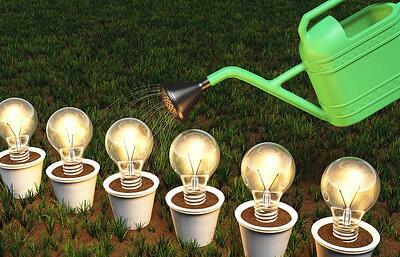 Lead nurturing is here to stay. In fact, an overwhelming majority of marketers (89%) use lead nurturing programs as part of their demand generation strategy. Don’t fall behind…stay focused on the above tips that will help to arm you with data and tools that demonstrate value. Develop metrics, goals and align responsibilities between your sales and marketing teams that produce exceptional results.